Video (2:19): queer tango performance in Argentina, May 2018. 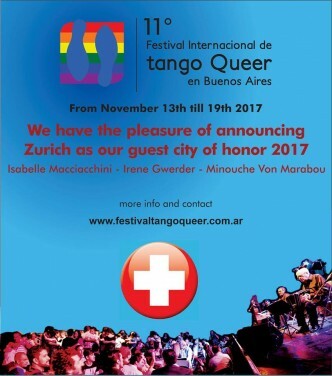 Festival Internacional de Tango Queer en Buenos Aires, Argentina, takes place November 13-19, 2017. Guest city this year is Zürich. 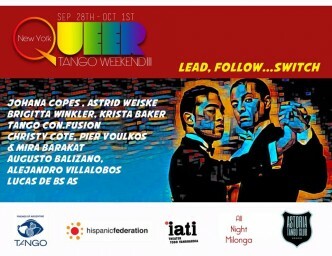 Invitation to Queer Tango Weekend in New York, September 28 – October 1, 2017. Save the dates! Festival Internacional de Tango Queer 2016 – 10 Years of Queer Tango! Mariana Docampo: It is about Festival Internacional de Tango Queer in Buenos Aires! From November 14 – 20, 2016 we are going to celebrate the first ten years of the festival and will have everything: milongas, parties, classes, practicas!! 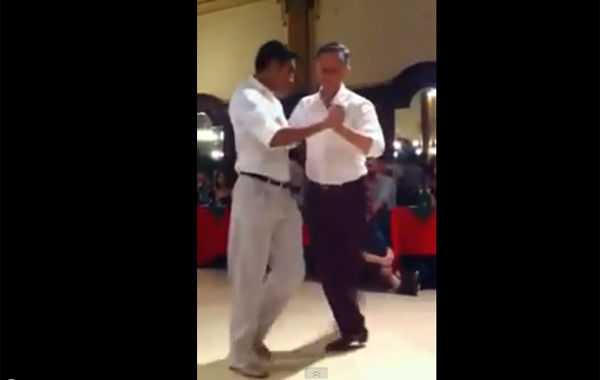 Video (4:22): Alejandro Villalobos and August Balizano performed a Queer Tango at Festival Internacional de Tango Queer en Buenos Aires, 2013.